Chamber Choir will be flying to Newfoundland and Labrador for Podium Conference and Festival this June for its 7th national tour! 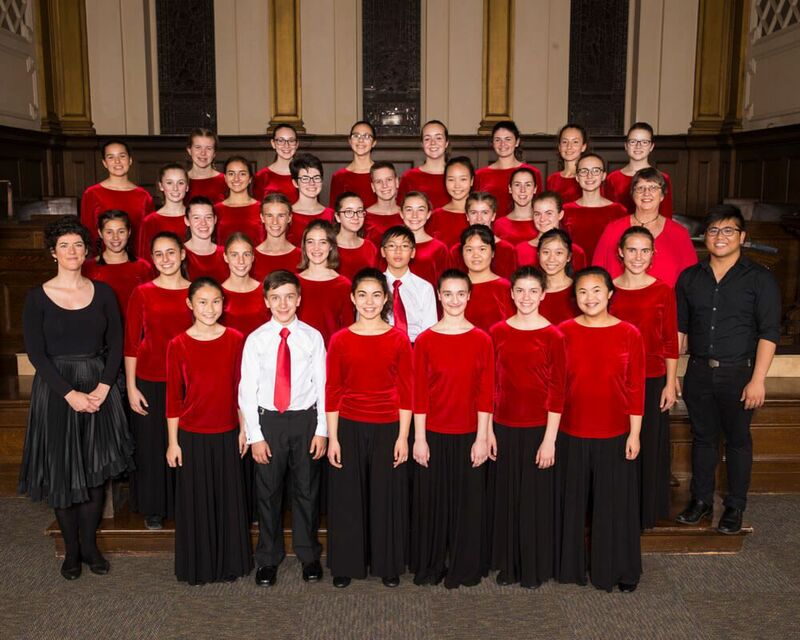 While at Podium, the Chorus will be singing a Spotlight Concert on July 2 (11:30am), and will be performing in a Highlight Concert entitled Ring of Fire with Hamilton Children’s Choir and Indonesian Children and Youth Choir on July 3 at 4pm. Additionally, the Chorus will be singing the 11am service at Cochrane Street United Church. Finally, Artistic Director Elise Bradley will also present two sessions entitled Ring of Fire: The insider’s guide to the repertoire and Choral sound from the inside out: The conductor’s art of listening. 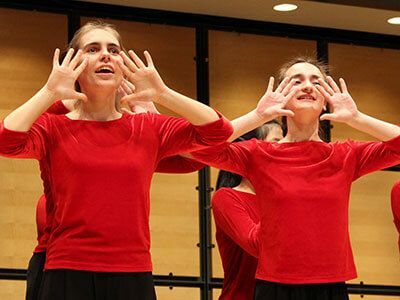 In anticipation for this exciting festival, Artistic Director Elise Bradley was interviewed for Amy Desrosiers’ Podium 2018 Choir Blog Series. Read some of the interview below and check out the rest on her blog. Amy Desrosiers: What is the importance of fostering choral singing for your choir? Elise Bradley: I firmly believe that studying choral music offers young people the opportunity to achieve artistic excellence, experience the joy of performance, acquire musical and leadership skills, learn self-discipline and teamwork, make life-long friends, and grow in a mutually supportive environment. It is a privilege to offer these life-changing opportunities to the children in our choirs and to share with them my passion for the art of choral music. Amy Desrosiers: Where did you begin to build a programme list for Podium? Elise Bradley: I began by selecting the theme for our current season, ‘Fire and Ice’, so that I could build repertoire that would also be suited to my vision for our Podium performances. The TCC is collaborating with the Hamilton Children’s Choir (whose conductor is from Russia) and with the Cordana Youth Choir (from Indonesia), so all the music selected reflects the heritage and languages of countries located around the Pacific Rim on the ‘Ring of Fire’. Amy Desrosiers: What can audiences hope to see from your choir at Podium? Elise Bradley: Audiences will hear new repertoire in a new context through our collaborative choral project. A full range of repertoire – from early genres to modern music, as well as dance – will represent the many countries on the Ring of Fire. A variety of instruments will also be played, including quartz singing bowls, Samoan fala, and medieval percussion. Amy Desrosiers: How important is it for choirs to promote the works of contemporary Canadian composers? 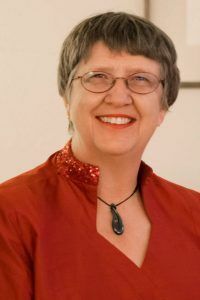 Elise Bradley: As a conductor in New Zealand for almost 30 years prior to moving to Canada, I regularly featured Canadian music in performances with my choirs! I feel it is tremendously important to support and promote the work of Canadian composers. 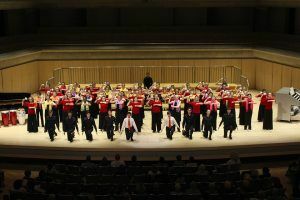 In the Toronto Children’s Chorus, we are fortunate to commission and work with many composers, both in rehearsal and in concert – Elise Letourneau, David Patriquin, Shireen Abu-Khader, Eleanor Daley, Larysa Kuzmenko, and Hussein Janmohamed, to name but a few.